The “Washington Heights Multi Cultural Center” is a (not-for-profit) organization. 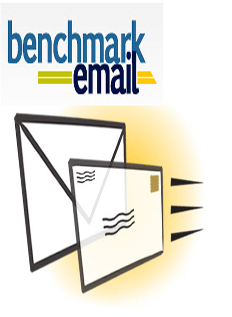 This organization has an excellent reputation for its continuous involvement in the development of the Dominican community in the United States and the Dominican Republic. Our members are amongst the most respected, distinguished and active of the Dominican-American Community in the New York Tri-State area, as part of our activities, every year we celebrate, The Dominican’s Mother’s Day, we recognize the woman who have done and outstanding work, not only in the community but also as a mother. Parade Desfile De La Hispanidad on 5th Avenue, on the Month of October. 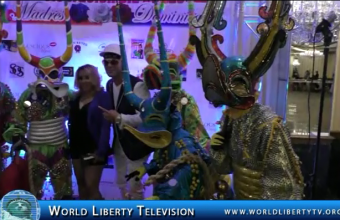 World Liberty TV, Team was on hand @ The Dominican’s Mother’s Day Gala ,see some of the mothers honored at the gala, alongside great entertainment. 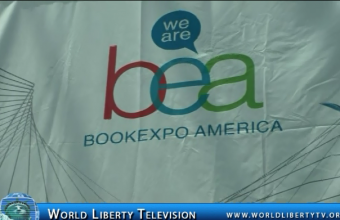 BookExpo America (BEA) is the leading book and author event for the North American publishing industry. It’s the best place to discover new titles and authors, network, and learn the latest trends during the BEA Content & Digital Conference. BEA offers three event-packed days, 600+ authors, hundreds of new titles, hundreds of exhibitors, four Author Stages, and access to the latest digital technologies at the Digital Discovery Zone (D2Z) brought to you by IDPF. BEA combines the largest selection of English language titles and is the largest gathering of booksellers, librarians, retailers, and book industry professionals in North America. 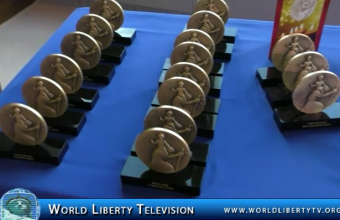 World Liberty TV, Book Review Team was on hand to review books from all around the world, see what the Publishers and Authors had to say about their books to our World Liberty TV, Book Review Team right here in our World Liberty TV, Book Channel. The National Stationery Show (NSS) returned to New York City’s Jacob K. Javits Convention Center May 17-20, with a new look and reorganization that presented one comprehensive marketplace for the social stationery, lifestyle gift and creative arts industries. More than 9,000 industry professionals attended and discovered the latest product launches from approximately 900 exhibiting companies, more than 200 of which were fresh, new market introductions. Show officials said one cohesive show floor will present the National Stationery Show as the flagship event, with featured divisions for Gift It, Creative Arts, fresh and The Supply Side. This seamless market experience will offer cross-merchandising opportunities among these synergistic product categories for the benefit of both attendees and exhibitors. A lineup of educational seminars led by notable industry experts, as well as must-attend networking events, rounded out the market experience. 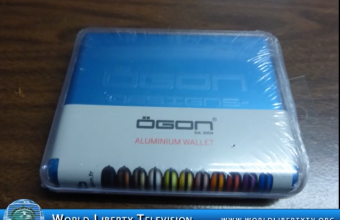 World Liberty TV, Team was on hand, and we want to showcase some interesting must have products at The National Stationary Show (NSS) at NY Javit Center -2015, see them right here in our World Liberty TV, Product Review Channel. In response to the critical, unmet need for HIV prevention and care for Latinos, a coalition of Latino leaders founded the agency in 1990. The Commission realizes its mission by spearheading health advocacy for Latinos, promoting HIV education, developing model prevention programs for high-risk communities, and by building capacity in community organizations. Through its extensive network of member organizations and community leaders, the Commission works to mobilize an effective Latino community response to the health crisis created by HIV/AIDS. Since 1995, the Commission has steadily expanded its services outside New York to meet the emerging needs of Latino communities in more than 40 States and Puerto Rico. Since its inception, the Commission has been directed by Dennis de Leon, a tireless advocate and national leader of the Latino community struggle to address the epidemic until his passing in December 2009. Guillermo Chacón, former Vice-President of the Latino Commission on AIDS and a national leader on Latinos and HIV/AIDS issues was named President by the Board of Directors in November 2009. The Commission is dedicated to resolving the HIV crisis in the Latino community, where social stigma, poverty, language barriers, immigration status fears, and access to care, deter testing and increase the infection rate. Over 200,000 Latinos in the U.S. and Puerto Rico are living with HIV/AIDS. The fastest growing ethnic group in the U.S., Latinos constitute 17% of the U.S. population but account for over 19% of the AIDS cases. The Commission’s public health model encompasses five core and complementary services provided to Latino communities: health education, HIV prevention, capacity building, advocacy, and health behavioral research. All services are offered in Spanish by a culturally diverse bilingual staff of health, education and business professionals. With illustrations and pictures, the Latino Commission on AIDS has used many powerful images the message education, to spread of prevention, training or awareness. An Olympic gold medalist, the actor best known as “the Fonz,” and a nine-time Grammy Award-winning jazz musician are among the creative forces behind the 20 feature films, TV/Cable programs, and books for adults and young people being honored at the 66th annual Christopher Awards, to be presented in New York City on May 13th, 2015. Special Award Winner: Patrick Donohue received the James Keller Award ,Donohue created the International Academy of Hope (iHope), the first and only school for kids with brain injuries and brain-based disorders in New York City as well as the National Pediatric Acquired Brain Injury Plan (PABI Plan), which developed a standardized, evidence-based system of care that’s universally accessible for millions of American families. The James Keller Award, named after The Christophers’ founder, recognizes individuals who put their faith into action and change the world for the better. The Christophers, a nonprofit organization founded in 1945 by Maryknoll Father James Keller, is rooted in the Judeo-Christian tradition of service to God and humanity. The ancient Chinese proverb—“It’s better to light one candle than to curse the darkness”— guides its publishing, radio, leadership and awards programs. 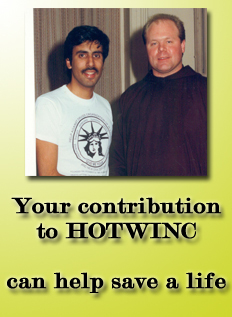 After graduating from St. John’s University in New York with degrees in Communications and English, Tony Rossi found a job at the Catholic media organization, The Christophers, that allowed him to indulge his interest in religion, media, and pop culture. He served as The Christophers’ TV producer for 11 years, and is currently the host and producer of the organization’s radio show/podcast Christopher Closeup, writer and editor of their syndicated Light One Candle column, and producer/scriptwriter of the annual Christopher Awards ceremony. The envisage Facial Exerciser is Revolutionizing Facial Care. envisage prompts a more youthful complexion to return naturally with no need for costly or invasive techniques. envisage is a unique approach to optimizing facial tone and tightening skin. The envisage facial exerciser is an attractive hand-held device which is designed to specifically target six areas of the face–deep cheek lines, double chin, saggy jowls, loose neck skin, forehead lines and saggy eyelids. The hand held device allows you to apply precise pressure to create resistance as you exercise each of these areas. The resistance the pads applies is key to achieving excellent facial tone. You intensify the workout with the vibration feature. By targeting an area with resistance and vibration you are strengthening the small facial muscles and in doing so, achieve better facial tone and tighter skin. As you do the exercises, you are replacing the fat lost with aging and atrophied muscle with real muscle. You are also increasing the blood flow to the face which activates skin collagen. This is how you improve skin tone and reduce facial wrinkles and folds. 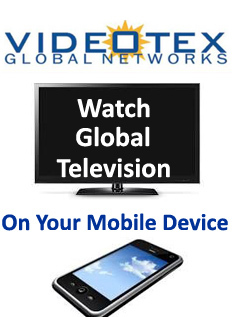 The envisage is ergonomically-designed; it fits comfortably in your hand and the vibration button is easy to access. A charger is included. Envisage is made of high-quality, non-toxic, materials, and has been carefully designed to be gentle on your skin. 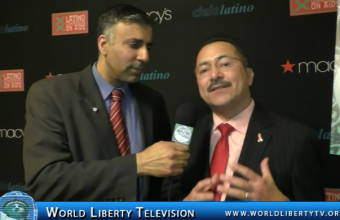 World Liberty TV,Health & Beauty Team was on hand at the US Product Debut of Envisage Renew , and had the pleasure of interviewing its founder and President Anita Lorelli, See what she had to say about this wonderful product. The Celebrating Women Breakfast is the Foundation’s premiere fundraising event, attended by 2,200 people. The event raises over $2M each year, a substantial portion of the $5.5 million in grants we distribute each year. 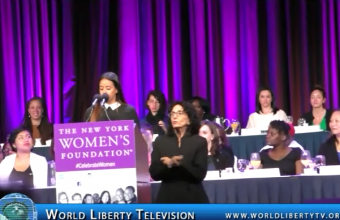 At the Breakfast, NYWF pays tribute to remarkable and dynamic women leaders while spotlighting the incredible and vital work being done in the communities by our grantees partners. We hope you will join us in celebrating our honorees and our 80 grantee partners. Your support will enable us to continue to promote long-term economic security, sexual health, and safety for women and their families here in New York. Patrisse Cullors is an artist, organizer and freedom fighter living and working in Los Angeles. As founder of Dignity and Power Now and co-founder of BlackLivesMatter, she has worked tirelessly promoting law enforcement accountability across the nation.Dignity and Power Now is dedicated to protecting incarcerated people and their families in Los Angeles. As executive director, Ms. Cullors has undertaken several projects ranging from the Coalition to End Sheriff Violence, Freedom Harvest artist collective, a bi-annual publication, the Dandelion Rising Leadership Institute and Building Resilience. In August of this year, the organization issued a report in collaboration with the UCLA Human Rights Clinic on the high percentage of black, mentally ill inmates. The report received coverage from multiple media outlets. In 2013, Alicia co-founded #BlackLivesMatter, an online platform developed after the murder of Trayvon Martin, designed to connect people interested in learning more about and fighting back against anti-Black racism. Opal Tometi is a Black feminist writer, communications strategist and cultural organizer. She is a co-founder of #BlackLivesMatter. The historic political project and leader-full network was launched in the wake of the murder of Trayvon Martin in order to explicitly combat implicit bias and anti-black racism and to protect and affirm the beauty and dignity of all Black lives. Catherine Gund is an Emmy-nominated producer, director, writer and organizer. In 1996, Gund founded Aubin Pictures, a nonprofit documentary media production company that promotes cultural and social awareness and change. Her films, which focus on arts and culture, HIV/AIDS and reproductive health, the environment and other social justice issues, have screened around the world in festivals, theaters, museums and schools; on PBS, Discovery’s Planet Green and the Sundance Channel. ll-female a cappella powerhouse Element calls New York City home. With a repertoire of contemporary and classic pop and rock, Element has lent its vocal stylings to a wide range of venues. Since being featured on Season 4 of NBC’s The Sing-Off, the group has entertained crowds at Fashion Week, The Sing-Off Tour, the Dominique Ansel Bakery, and high end private events. They have also appeared on New York Live and as a repeat opening act for Jay Leno. The Queens Economic Development Corporation, the Queens Tourism Council, and lead sponsor Delta Air Lines are proud to announce that the borough’s premiere food-and-networking event — Queens Taste 2015 — Which took place at the New York Hall of Science in Flushing Meadows Corona Park on Tuesday, May 12, from 6 pm to 9 pm. The reasons to attend were that Foodies can expect everything from crunchy to creamy, fiery to flaky, and sweet to savory. For example, La Fusta in Elmhurst will bring beefy Argentine fare, while Jamaica’s O Lavrador will prepare Portuguese paella. Pa-Nash in Rosedale will serve West Indian/Moroccan fusion, while Astoria’s Zenon Taverna will go with Greek specialties. Latin participants include the Arepa Lady (Colombian) from Jackson Heights and Mexican cuisine via La Adelita in Woodside. Asian treats will come from Flushing’s Mulan, Thai Rock in Rockaway, and Kimchee Smoke, which is often at LIC Flea & Food. Meanwhile, the Michelin-starred M. Wells Steakhouse will bring its famous beef tartare meatballs. Plus, clients of the Entrepreneur Space, a food-and-business incubator that QEDC operates in Long Island City, will be on hand with their artisan specialties, such as gluten-free products and ethnic desserts. Then there are the drinks. Long Island City’s SquareWine & Spirits headlines a beverage group that includes borough-based Queens Courage gin. As part of the fun, the public will vote on Best Appetizer, Best Entrée, Best Dessert, and Best Beverage in a people’s choice format. Plus, Big Apple Circus clowns will do magic tricks and give away free red noses to all attendees (or at least those who want one). Finally, there’s the networking. Most of the roughly 800 attendees either live in Queens or do business in the borough (or both). So Queens Taste 2015 provides the perfect scene to meet like-minded individuals, talk shop, and exchange business cards in a friendly atmosphere. “Delta is proud to call Queens home with both of our hubs at JFK and LGA, right in the heart of the borough. We’re excited to partner again with the Queens Economic Development Corp. and the Queens Tourism Council to bring neighbors together for this popular — and delicious — community event,” stated Gail Grimmett, Senior Vice President New York for Delta Air Lines. With expertise specializing in entertainment memorabilia, sports and celebrity estate auctions, Julien’s Auctions has established itself as the world’s premier entertainment, sports and celebrity memorabilia auction house. 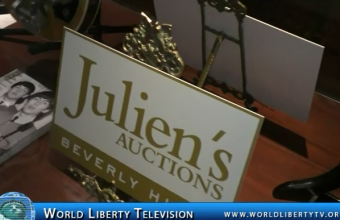 Julien’s presents exciting, professionally managed and successful auctions. We design and produce fully illustrated, full-color, coffee-table quality auction catalogs. We present a live auction in our gallery in Beverly Hills while concurrently managing a complete online catalog and bidding platform .Our property specialists have expertise in the memorabilia market and also fine & decorative arts allowing Julien’s to accommodate complete collections of celebrity homes and estates. Previous auctions include the collections of Cher, The Estate of Bob Hope, Steven Tyler, The Estate of Marilyn Monroe, The Estate of Tony Curtis, Barbra Streisand, The Estate of Mary Pickford and memorabilia from the life and careers of Michael Jackson, Elvis, The Beatles, Madonna and numerous others. Julien’s Auctions consistently curates multi-consignor auctions with very impressive results. Our memorabilia sales alone earn more than $15 million dollars annually. Our consignors receive outstanding returns while experiencing personal and professional attention from our friendly team at Julien’s Auctions. Julien’s Auctions works with our celebrity clients and the entertainment industry to create auctions that benefit their charity interests. Previous charity auctions have been conducted with U2, The Elton John Foundation, The Gibson Foundation, MusiCares, The Grammy Foundation and the sale of individual items for Angelina Jolie, Cher and other high profile clients. 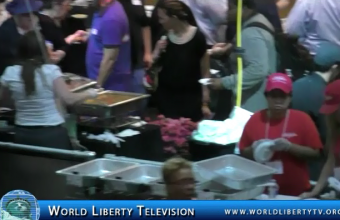 World Liberty TV, Team was on Hand in New York City , to do an Exclusive Interview with with Martin J.Nolan Co-Founder and Executive Director Juliens Auctions, who was getting ready for The Elvis Presley’s “TCB” Tour Bus Auction as well as over additional 200 Pieces that was supposed to bring Million’s of Dollars Through The Julien’s Auction. Four legends of Madison Square Garden – the iconic American band the Grateful Dead, Hockey Hall of Fame goaltender Eddie Giacomin of the Rangers, Basketball Hall of Fame forward Harry Gallatin of the Knicks, and award-winning photographer George Kalinsky – were officially inducted into The Garden’s Walk of Fame on Monday, May 11th 2015. 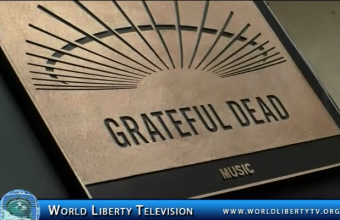 The Grateful Dead, which is celebrating its 50th anniversary this year, were represented by band members Bob Weir and Bill Kreutzmann, and by Trixie Garcia, the daughter of the late Jerry Garcia. Giacomin, Gallatin and Kalinsky will also be on hand for the special ceremony. The Garden legends will be inducted by Basketball Hall of Famer and Former U.S. Senator Bill Bradley (Kalinsky), Rangers Hall of Famer Rod Gilbert (Giacomin), Knicks legend John Starks (Gallatin) and renowned New York radio deejay Jim Kerr of Q104.3 (Grateful Dead). The Grateful Dead is an American rock band formed in 1965 in Palo Alto, CaliforniaThe band was known for its unique and eclectic style, which fused elements of rock, folk, bluegrass, blues, reggae, country, improvisational jazz, psychedelia, and space rock,and for live performances of long musical improvisation “Their music,” writes Lenny Kaye, “touches on ground that most other groups don’t even know exists.” These various influences were distilled into a diverse and psychedelic whole that made the Grateful Dead “the pioneering Godfathers of the jam band world”. They were ranked 57th in the issue The Greatest Artists of all Time by Rolling Stone magazine. They were inducted into the Rock and Roll Hall of Fame in 1994 and their Barton Hall Concert at Cornell University (May 8, 1977) was added to the Library of Congress’s National Recording Registry. The Grateful Dead have sold more than 35 million albums worldwide. The Grateful Dead was founded in the San Francisco Bay Area amid the rise of counterculture of the 1960s. The founding members were Jerry Garcia (guitar, vocals), Bob Weir (guitar, vocals), Ron “Pigpen” McKernan (keyboards, harmonica, vocals), Phil Lesh (bass, vocals), and Bill Kreutzmann (drums). Members of the Grateful Dead had played together in various San Francisco bands, including Mother McCree’s Uptown Jug Champions and the Warlocks. Lesh was the last member to join the Warlocks before they became the Grateful Dead; he replaced Dana Morgan Jr., who had played bass for a few gigs. With the exception of McKernan, who died in 1973, the core of the band stayed together for its entire 30-year history. Other longtime members of the band include Mickey Hart (drums 1967–1971, 1974–1995, 2015), Keith Godchaux (keyboards 1971–1979), Donna Godchaux (vocals 1972–1979), Brent Mydland (keyboards, vocals 1979–1990), and Vince Welnick (keyboards 1990–1995). Pianist Bruce Hornsby was a touring member from 1990 to 1992, as well as guesting with the band on occasion before and after. 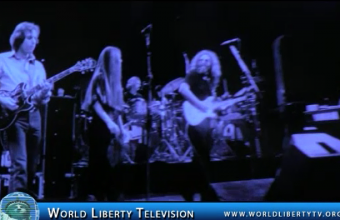 World Liberty TV, Team was on Hand at Madison Square Gardens Walk of Fame ,where Grateful Dead were inducted, The following were in attendance, band members Bob Weir and Bill Kreutzmann, and by Trixie Garcia, the daughter of the late Jerry Garcia.., See it Right here in our World Liberty TV, Entertainment Channel .